Tickets on sale Friday, April 13 at 10am. 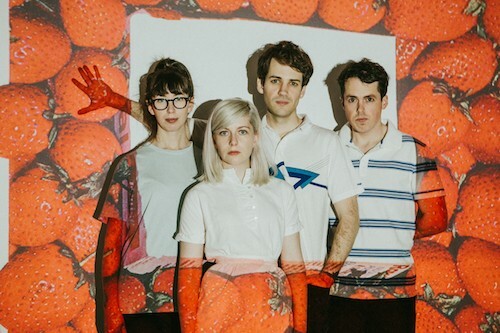 Alvvays opens for for The War on Drugs July 11. The Halifax Jazz Festival, which kicked off this year with a very sweet double-barrelled announcement of The War on Drugs and Daniel Caesar, followed in recent weeks by Charlotte Day Wilson and Land of Talk, unveiled its more headliners yesterday. Canadian superstars Alvvays (July 11, Tent) and life superstar Chaka Khan (July 12, Tent) have been added to the mix, as well as Matt Andersen and The Mellotones, Whitehorse (July 14, Tent) and Nicholas Payton (July 14, St.Matt's). Tickets for Caesar and War on Drugs are on sale now. The rest go up this Friday at 10am. The fest will round out its lineup in the coming weeks.